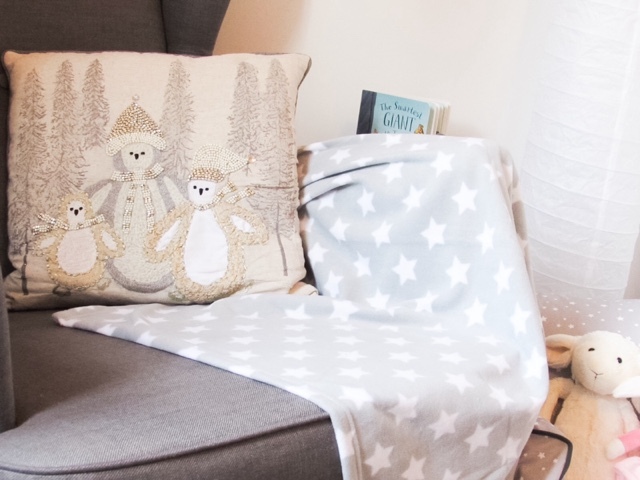 Grey and white stars is the theme we have in Isabella's nursery, it's not overwhelming but a few key pieces here and there. 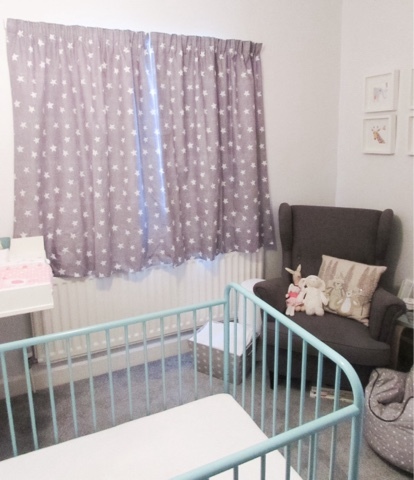 We went for a subtle grey/white on the walls, a feature turquoise cot and grey accessories - all of which a pretty gender neutral. 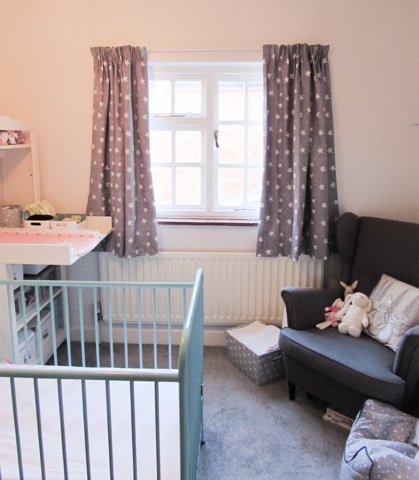 Isabella won't be in her current bedroom forever, so we didn't want to make the room overly 'girly'. Recently we've picked up a couple of new additions to fit with the grey and white star theme and best of all they were bargains! We have need curtains or blinds for the nursery for as long as Isabella's been alive, but it just wasn't a priority. 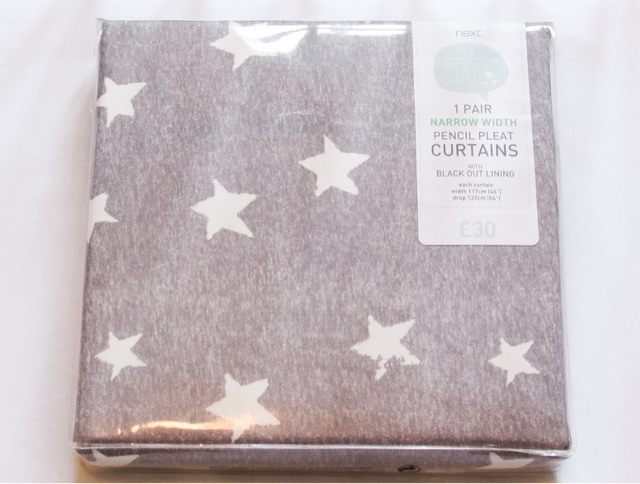 However when the January sales came around I used the opportunity to start our hunt for grey and white star curtains again. 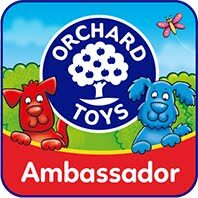 There are a couple of high street stores that sell them for around the £50 mark (Marks and Spencers and John Lewis). This was a bit higher than we were planning on spending, though I do know that in the curtain world that's not overly expensive. Especially as we needed them to also be black out curtains for when Isabella naps in the day. 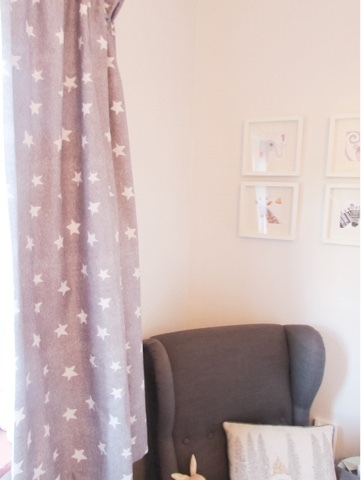 After a lot of searching around we finally found a pair of grey and white star curtains that were more reasonably priced and just as cute, from Next of all places. 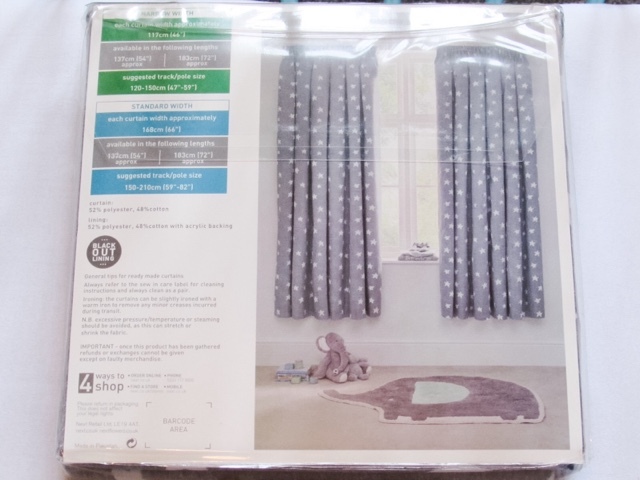 We needed the Little Star Black Out Pencil Pleat Curtains in 117x137cm size and they're only £30! 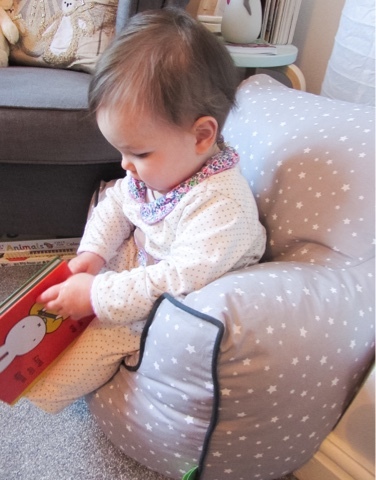 Another addition is this adorable beanbag chair from amazon only costs £21.99 with free UK delivery. 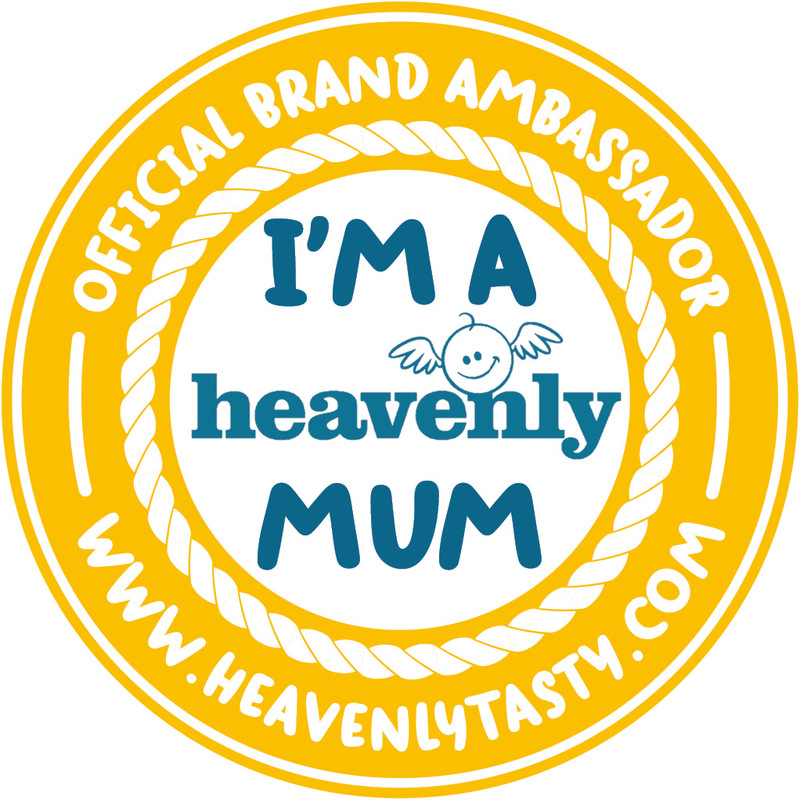 At Christmas my cousin's son was given a beanbag chair from JoJo Maman Bebe, which Isabella loved sitting in. I found this one on amazon and couldn't resist as it matches her bedroom so perfectly. HomeSense is a bit of a home decor lottery, sometimes you'll find right gems and other times there'll be absolutely nothing that takes your fancy. 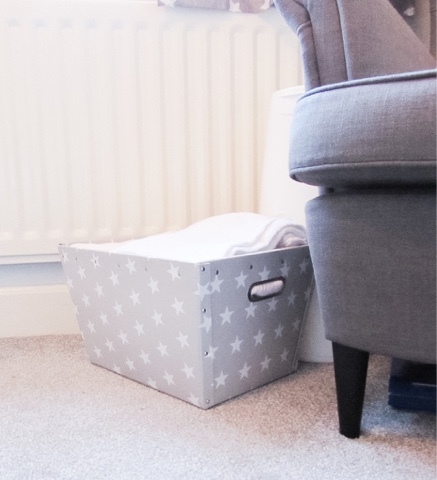 This grey and white star storage box jumped out at us and for only £4.99 it was a complete bargain too! We keep Isabella's blankets and muslin cloths in it, though I see it becoming a toy box soon. We also have a matching box with a lid, which has the clothes that no longer fit Isabella in (prior to being vacuum packed and stored under her cot). The final and most recent grey and white star purchase is this fleece blanket from the latest Aldi baby & toddler event. It was £2.49 (there were a few other designs) and currently lives on the armchair in her room. 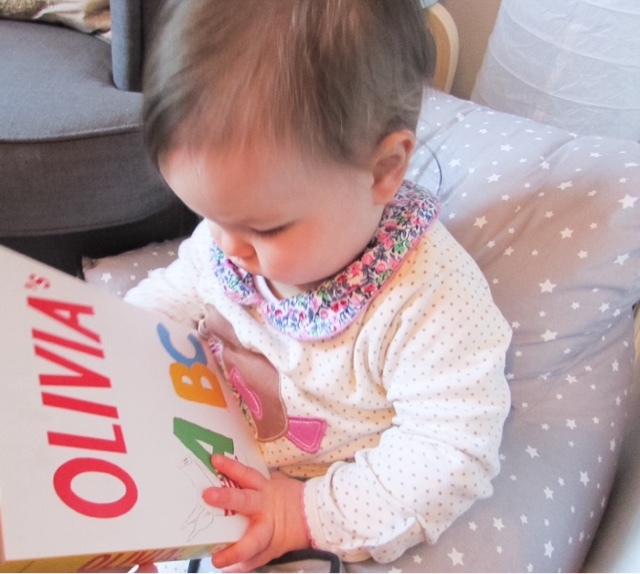 Does your little one's bedroom have a theme? 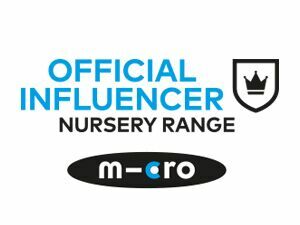 Such a lovely nursery! I am going to re-decorate my girls room in the next week or two! 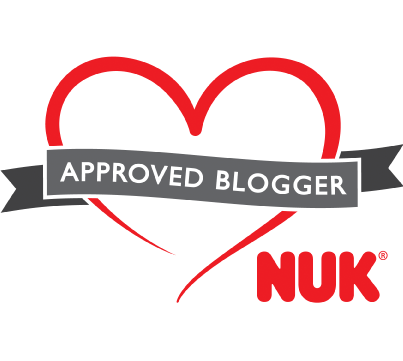 it's going to be a monochrome style with rainbow colours added!